Sepp Blatter has been re-elected as president of Fifa after winning the vote against challenger Prince Ali bin al-Hussein of Jordan. Blatter had missed out on the required two-thirds majority in the first ballot - receiving 133 votes to his rival's 73 - but Prince Ali then took to the stage to withdraw before a second round could begin. 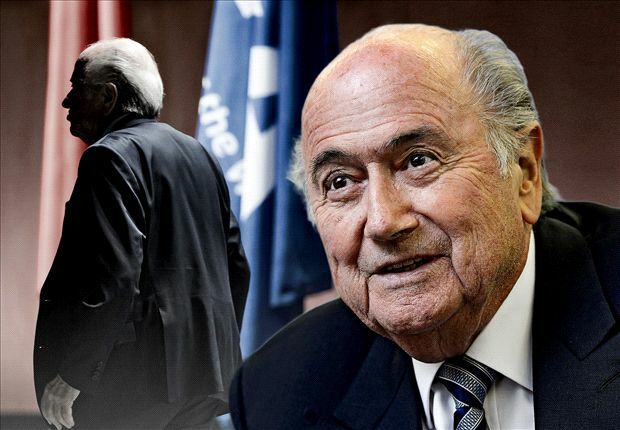 Delegates at the 65th Fifa Congress in Zurich opted for Blatter despite the widespread controversy that engulfed the event this week. Seven Fifa officials, including vice-president Jeffrey Webb, were arrested at dawn by Swiss authorities on request of the US Justice Department on Wednesday and are facing extradition to the United States on money laundering, racketeering and wire fraud charges. In all, 11 individuals were also banned from Fifa activities for their alleged part in the corruption scandals. The Swiss Office of Attorney General also announced its own investigation into the awarding of the Russian and Qatari World Cups against persons unknown on charges of "criminal mismanagement and money laundering" with Fifa's plush headquarters being raided in the process. IRS chief of criminal investigation Richard Weber has described the events as "a World Cup of fraud" and American investigations are set to continue. Despite the arrests and alleged bribery which has taken place on his watch, Blatter had earlier insisted that only a "tiny minority" of officials at Fifa were corruptible and has re-iterated his belief all week that he remained the man to lead Fifa out of its current storm. "You know me already, I don’t need to introduce myself to you," Blatter told delegates before the ballot. "You know who you’re dealing with. I also know I can count on you. We need to recover our good name. We will start tomorrow morning with this goal in mind." Uefa president Michel Platini tried in vain this week to persuade Blatter to step aside as president in order to usher in a new era at Fifa and also confirmed Uefa's votes would largely go to the challenger Prince Ali. However, the Jordanian royal was unable to garner the necessary votes to topple Blatter, who can now settle in for four more years at Fifa HQ, where he will serve as president until the age of 83.